If you haven't ventured to Park West lately, you're missing out. This Mount Pleasant community is thriving again, with 43 homes selling in the last six months and another 21 under contract. Masonborough, one of its key subdivisions, is leading the pack for custom-built homes. "It's certainly an advantage of Masonborough that folks can purchase a home site and build the home of their choosing," said Clay Cunningham, a Broker Associate at Carolina One Real Estate. "Most of the home sites in Masonborough offer plenty of space–we're talking in most cases a third acre or more. And there are several home sites with terrific marsh views. Most of the houses back up to the natural marshes and wetlands, rather than to another house. Some even offer waterfront with dock and boating in your backyard." The aesthetic in Masonborough is one reminiscent of Lowcountry leisure, with many of the homes elevated from the ground and featuring large porches. Darrell Creek and the Wando River surround the neighborhood. "These are larger homes, a minimum of 2500 square feet, with newer construction, something that people really seem to like," said Cunningham. Masonborough began with over 250 home sites for the purpose of custom construction. Since the advent of the subdivision, about 190 families have named the subdivision home, (including what is currently under construction) while approximately 65 sites remain vacant. "Sixteen of the sites have recently been purchased by various builders," said Cunningham. "I represented one of the builders in purchasing several of them." Price-wise, Masonborough homes are currently ranging from $500k to around 1.5 million, including the waterfront homes in the subdivision. "It's a serious hot spot right now," said Cunningham with a smile. "A lot of the building companies are building here again and finding a great opportunity here, after the lull that took place for a few years." To give you an idea of how "hot" we're talking, Cunningham said that in the last six months alone, over 20 lots in Masonborough have been purchased. "We expect many homes to be sold–it's definitely trending," he said. Of course, Masonborough is just a small part of the Park West community, which has over 16 subdivisions. 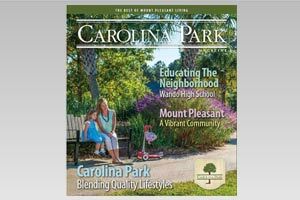 "Mount Pleasant is growing, and Park West has allowed a good bit of that growth to take place," said Cunningham. "The land was available out here and we've used it responsibly for developments like this." When it comes to that small town feeling, Park West is attractive to plenty of home buyers. It offers retail shopping, plenty of restaurants, schools that are close by, as well as medical facilities right at the fingertips of the residents. "My family and I moved out here when our children were still of school age, and the kids could reach school without even bothering with Highway 17," remarked Cunningham. "I think that's a big draw. There's also a huge recreational facility, complete with a swimming pool, and the new Mount Pleasant Hospital is also at reach without getting on the highway." Cunningham feels that newcomers to the area seek out Park West – in search of community, space and value. 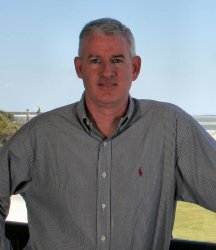 Contact Clay Cunningham by telephone at (843) 345-4647, visit his website at www.ParkWestNeighborhoods.com or email him at sold@ParkWestNeighborhoods.com.